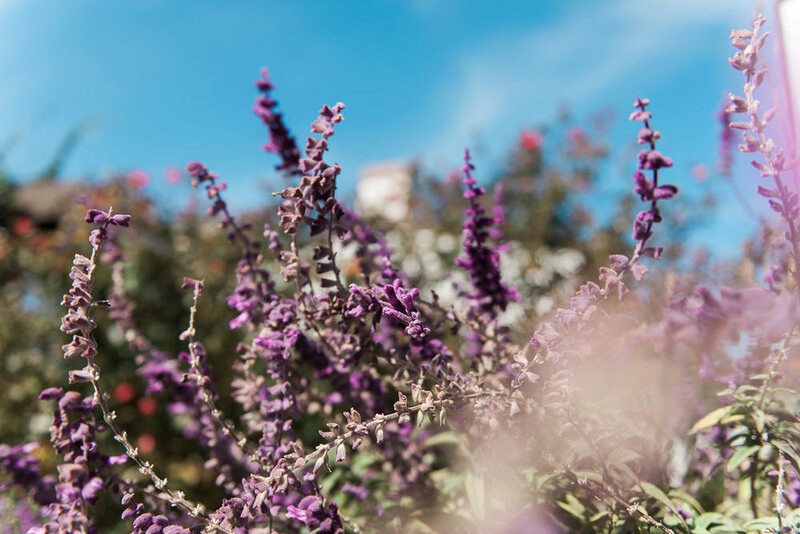 Nestled in gorgeous Texas Hill Country, Garden Grove was born out of a passion for elegant mediterranean design and perfectly-curated events. 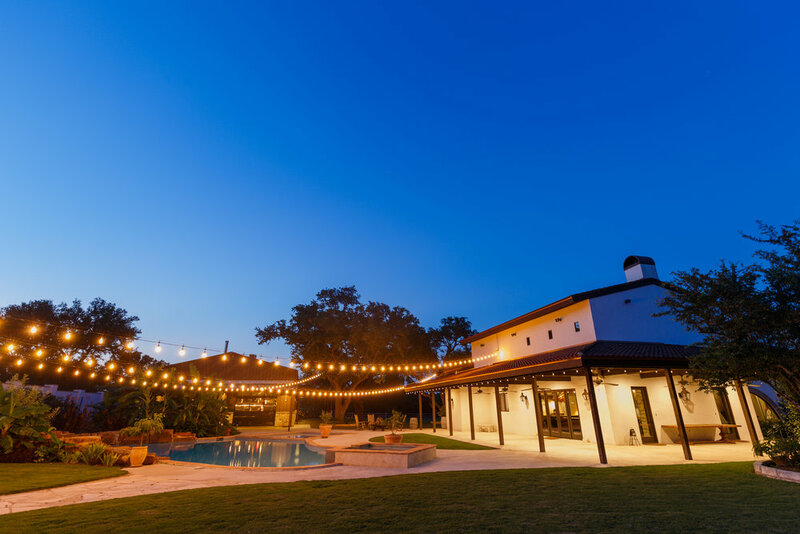 With a stunning 7,500 square foot Santa Barbara-styled villa surrounded by massive heritage Live Oak trees and lush florals, Garden Grove Austin is the perfect marriage of luxury and Hill Country sensibility. 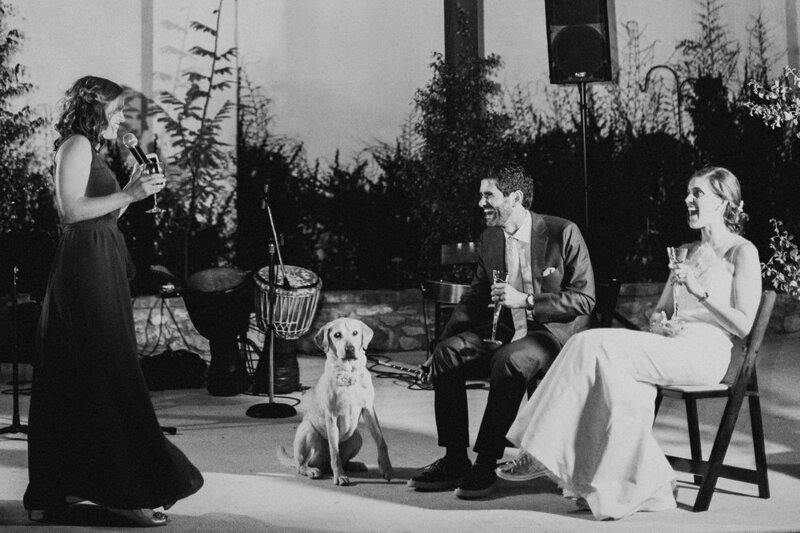 Our serene 12.5 acre estate can comfortably accommodate weddings and events of all sizes, with the option to reserve for the day, overnight or the whole weekend. We only schedule one event per weekend, and are currently booking through 2020. Tour our charming overnight guesthouses here. 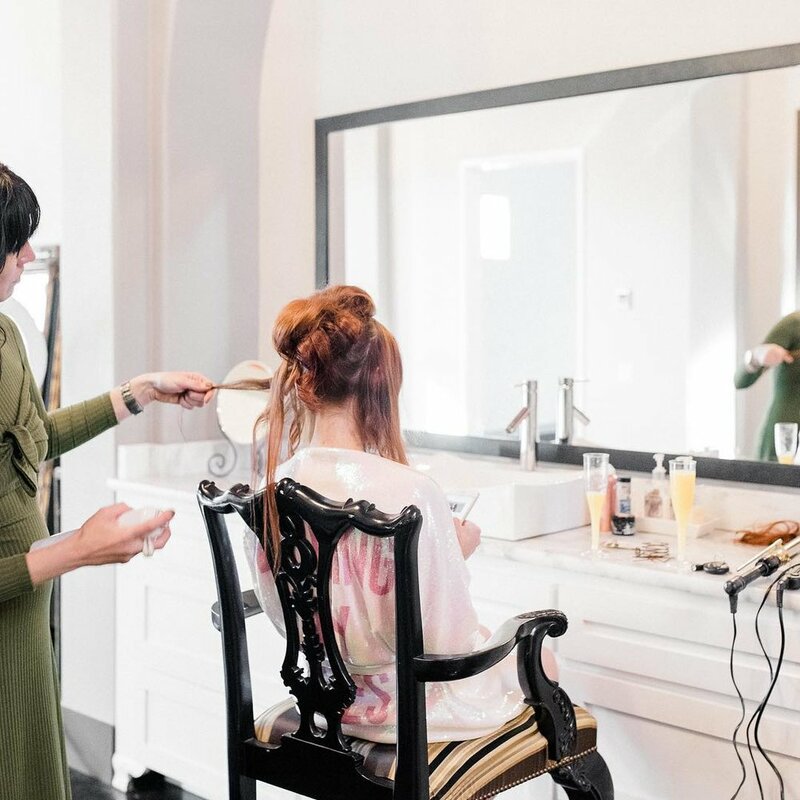 Our 7,500 square foot Santa Barbara-styled villa provides a picturesque backdrop for your Texas Hill Country wedding or event. Its lavish interior, which features sky-high ceilings, a beautiful fireplace, comfortable seating and unique decorative accents, provides an indoor gathering space just as exquisite as its Texas Hill Country surroundings. We invite our couples into our expansive 2,400 square ft dressing suite. It features a 40 ft bathroom with a magnificent soaking tub, 23 ft lighted and domed ceiling, 10’ x 12’ walk in shower, counter space and mirrors galore, a separate dressing area, a walk-in closet, and two stunning fireplaces. Our separate 3,600 SF space, which features a 36 ft oak wet bar with 2 kegorators, a 80” ultra-high definition 4K flatscreen TV, and spectacular sound system, serves as the perfect “man cave” for grooms and groomsmen, or the ultimate after-party room for after-hours festivities. Located in the main house, the opulent-but-cozy honeymoon suite is the perfect romantic retreat for newlyweds. We also offer 6 uniquely-themed cabanas for up to 24 guests and 6 additional incredibly comfortable mattresses for bunk-style sleeping. Need to accommodate more guests? Set up “glamping” (glamorous + camping) for up to 50 on our lower green. 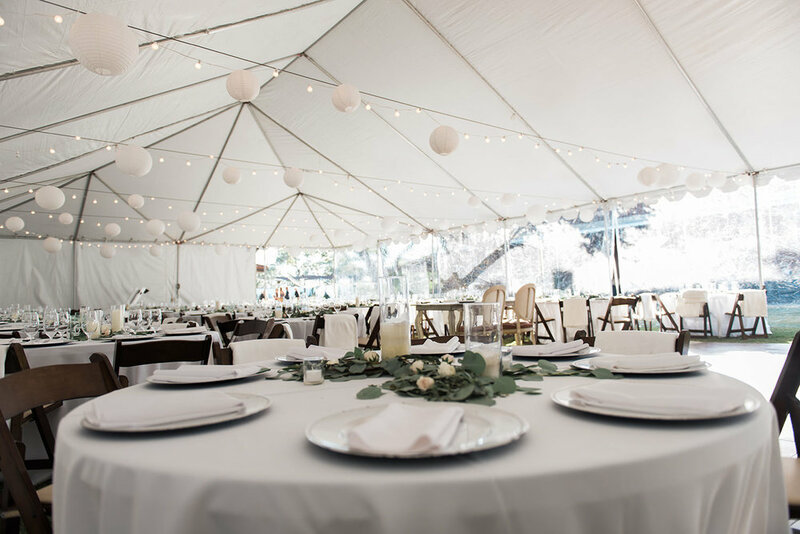 This luxurious high-peaked tent is perfect for romantic receptions, elegant dinners and even an inclement weather backup plan (but let’s be honest -- a "bad weather plan" never looked so beautiful!). 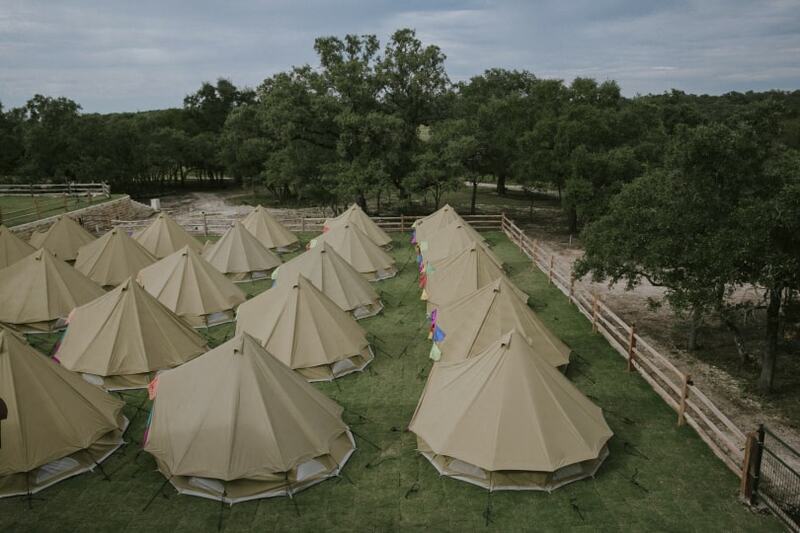 Our tent can be configured from 59’ x 39’ for intimate gatherings, or as large as 59’ x 69’ for more sizable shindigs! Lit with elegant string bulbs, this sculpted white sail cloth is a simply stunning way to experience our lush estate and Texas Hill Country views. 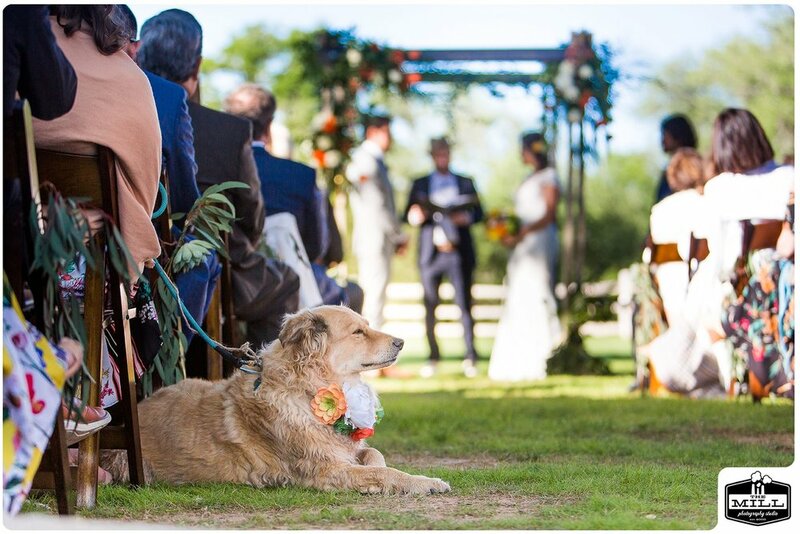 Our pristine outdoor greens are perfect for an outdoor wedding ceremony with a view, a romantic tree-lit reception or a night glamping under big and bright Texas stars.